NAPFA is the nation’s leading organization of Fee-Only comprehensive financial planners. Why not take advantage of all the ways to get to know our members and become a Resource Partner? Member firms are thriving, membership is growing, and NAPFA-Registered Financial Advisors are looking for new and better products and services to bring to their clients. Resource Partner status gets you closer to the typical member and helps your company’s image by enabling you to stand out from the crowd. It entitles you to special acknowledgement and benefits from NAPFA. Blast E-Mails – NAPFA does not distribute members’ email addresses to anyone. However, Resource Partners are entitled to have NAPFA send out two blast emails per calendar year. Any email that contains information which markets an activity that competes with a NAPFA event will not be eligible for this privilege. NAPFA is fortunate to have extremely loyal members. Existing Resource Partners tell us they’ve experienced increased activity because many members show their appreciation for Resource Partner support of the organization. This includes being more willing to take your calls and potentially selecting you for speaking opportunities when appropriate. 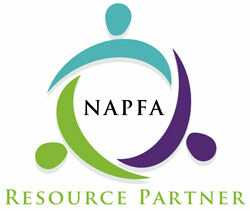 If you are interested in becoming a Resource Partner with NAPFA, please contact Ric Haines (732) 920-4236. NAPFA Resource Partner annual dues are $4,000.